Have you ever walked into someone’s bathroom when you are a guest in someone’s home and just said “Wow”? Do you think people will get that same “Wow” feeling in your bathroom? If not, you may be able to put some real pizzazz into your bathroom with a few simple changes that can change the nature of the room entirely. 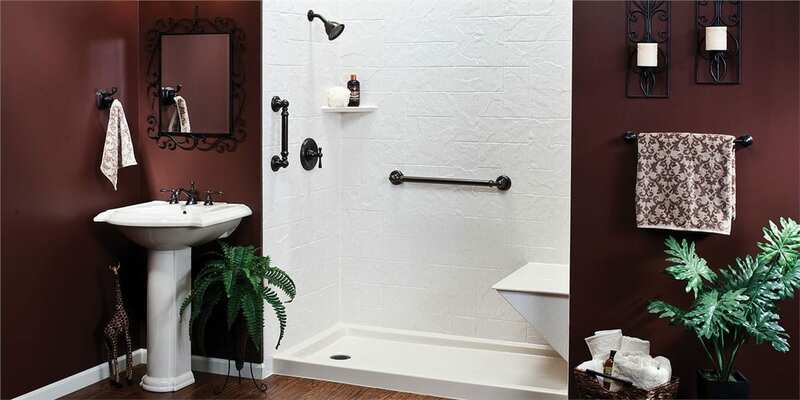 If you think you might be able to take on a major overhaul to the bathroom, there is nothing like coordinating the tile, the shower and the sink area in one striking color combination. You could go with black tile and shower and a black marble look to the counter tops combined with a pure white porcelain sink for offset to really make a guest take notice when they walk into that room. You add some red towels and throw rugs and that bathroom becomes a real visual treat to the eye. Many times guest bathrooms can look very closed in and small so anything you can do to open up the room is a great step in your remodeling plans. If there is an exterior wall that you can use to add a window to allow sunlight to flood in during the day, that can make that bathroom look twice as big with just one simple improvement. But if you then follow that change with the addition of a sunlight up above, that little bathroom will seem open to all of Mother Nature. That bathroom will have a completely different feel about it with just those two changes.
. Double or triple the floor space of the bathroom by taking out a wall and expanding the pluming to accommodate the new improvements.
. Take out that tiny bathtub and put in a Jacuzzi sized tub instead.
. Add a hot tub or steam room.
. Add lots of lights, floor space and mirrors so there is plenty of room to have a luxury bath time in that room. While most of these changes will be used by you and your family, the look of that expanded bathroom will be truly impressive. Don’t be surprised if people disappear into that bathroom and don’t come back for a while. When they are impressed by your bathroom, they may want to soak up the atmosphere themselves.